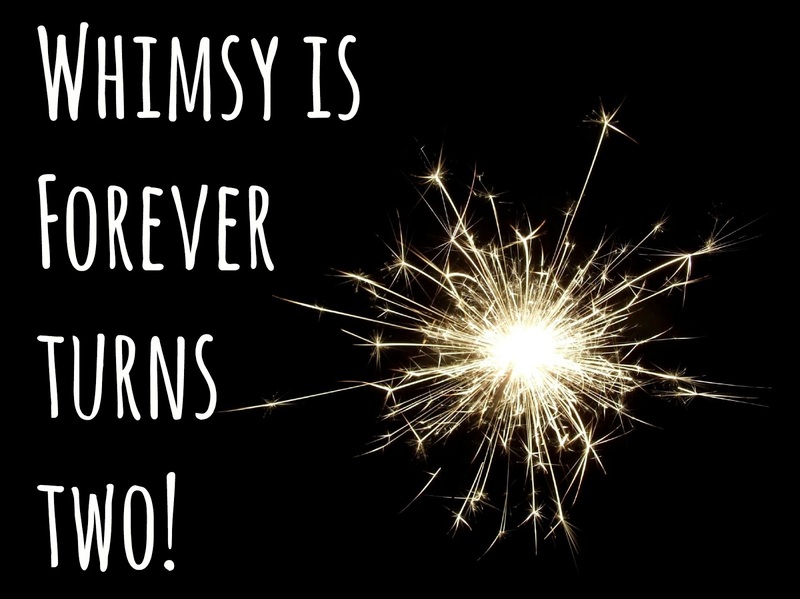 Whimsy Is Forever: Whimsy Is Forever Turns Two! This month, my little blog is turning 2! To celebrate my blog's birthday (blogiversary?) I'll be hosting several giveaways, so be sure to pop by regularly! I want to take this moment to thank each and every one of my readers - without your support, I would have given up blogging ages ago. Instead, a late-night whim became an enjoyable hobby, which became part of my daily life. I have made so many lovely friends through blogging, I have grown immensely as a person, and I look forward with much excitement to what the future holds! Original sparkler photo credit: Vanessa Pike-Russell via photopin cc. Edited using PicMonkey by LJ van Laeren. Happy, Happy Birthday to a fabulous blog! Thanks Louise :) Here's hoping the next two are just as good! Congratulations Laura! I remember finding your blog just before I started mine and how you, Chicara and Claire were so supportive. So happy to see your blog still going strong! Thanks Charlene :) And thank you for all your support and kind words over the last two years!